The present study is essentially a socio religious history of early medieval India, mainly based on the Muslim Writings of the period. Apart from the famous Al-Biruni, there were a number of Arab scholars during A.D. 800-1200, who recorded their observations on the social, cultural and religious customs and manners of the people. Their observations however cannot be accepted unreservedly. The information supplied by these sources have been checked, verified and compared with Indian sources of the period, which makes the present study more authentic and complete. Dr. M.P. Singh obtained his M.A., PhD degrees from Banaras Hindu University. He has been teaching at Kashi Vidyapeeth since 1965. He is presently engaged in a study of the social conditions of North India during A.D. 300 to 800. There is a growing awareness that our picture of India, confined as it has been largely to political life and institutions, is one-sided and that it should be broad-based. The present study is a modest attempt to depict the cultural life of India during the early medieval period, which may be roughly put at between A.D. 800 and 1200. The chief sources of inform- ation used in this book mainly consist of the Arab classical accounts. The main theme of the study has, therefore, a direct bearing on the information available in these accounts, It need hardly be over-emphasised that the information pro- vided by the Arab writers needs to be carefully checked with the help of materials available in India. Every Indian thing, namely, the land, its size, its climate, the nature of its people, their habits and institutions, their social and religious beliefs and customs seemed strange to foreign observers. The accounts of early Muslim writers, like those of their Greek and Chinese predecessors, have a special significance as a source of Indian history and culture. So far, these sources have been used mostly to study the political condition of the period, including the Muslim invasions of India. The Muslim writers of this period have recorded their observations and impressions which throw a flood of light on many aspects of Indian life. The present study is essentially a socio-religious history of early medieval India mainly based on the Muslim writings of the period. 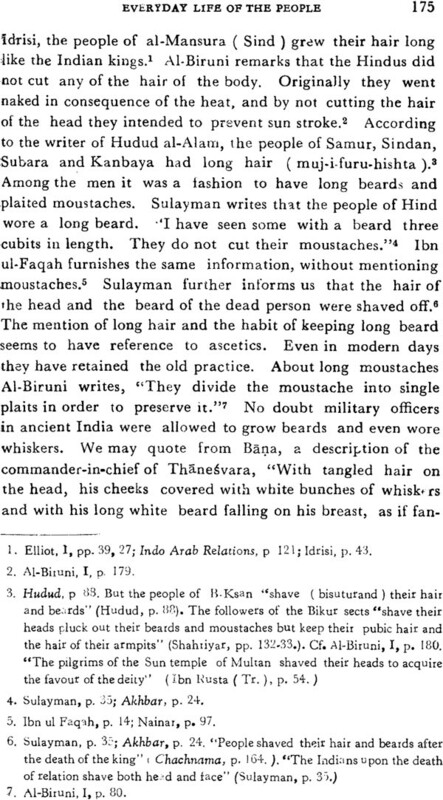 In this connection mention may be made of the two pioneering works, namely, Arab Aur Bharat Ke Sambandh ( 1930) by Sayyid Sulayman Nadvi and Arab Geographers' Knowledge of Southern India by S.M.H. Nainar ( 1942). Nadvi's work is a preliminary study and lacks in depth. Nainar's work deals only with southern India and puts emphasis on geography, products, kings and kingdoms. The chapter on ethnography is devoted to the cultural life of South India. Moreover, it does not make full use of Indian source-material. It also does not utilise the great work of Al-Biruni, which is undoubtedly one of the most relible record left by any Muslim writer of any age. As regards the sources on which the present study is based, I have used the material available in the writings of Sulay- man ( 851 A.D.), Abu Zayd (950 A.D. ), Ibn Khurradadh- bih ( 846 A.D.), Al-Baladhuri ( 892 A.D.), Al-Masudi ( 943 A.D.), Ibn Rusta (9th-10th century A.D. or the second half of the 3rd century A.H. ), Ibn Nadim ( 902-3 A.D. ), Shahriyar (900 A.D.), Mutahhar (950 A.D.), Istakhri (951 A.D.), Ibn Hauqal (979 A.D.), Maqdisi (985 A.D.), Al Biruni ( 1030 A.D ), Marvazi ( 1120 A.D. ), Shahrastani ( 1153 A.D.) and Al-Idrisi ( 1154 A.D.). Besides, I have used the histo- rical works of writers like Gardizi, Utbi ( II th century A.D. ) and such works as the Hudud al-Alam (982 A.D.), and the Chachnama, Hudud is a geographical work of great import- ance. I have also utilised a few more works mentioned in the first two volumes of History of India As Told by its own Historians by Elliot and Dowson. From about the middle of the 9th century to the 14th century a numher of Arabic geographical works dealing with Indian life and customs were produced. 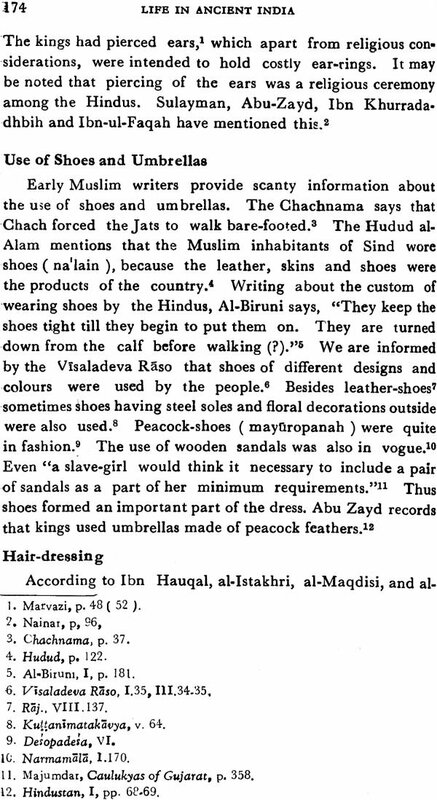 Many writers actu- ally visited India, important of whom were Sulayman, Al- Masudi awl Al-Biruni, Others who never visited the country inciuded Ibn Khurradadhbih, Al-Baladhuri, Marvazi and Al- Idrisi, The first group had the clear advantage of observing things itself, while the second relied on the reports of others and the works of their predecessors. All these works supply useful information on Indian life. The most important feature of Indian history in this period is the arrival of Muslims in India in the beginning of the 8th century. In course of time they became a political force in this country. Naturally, there was a desire to know more of India. Many writers recorded their observations and impres- technical terms, the significance of which would have been lost if I had attempted to paraphrase or summarize them. Indian sources have been used to sift, analyse and at places to confirm the accounts of Muslim writers. They have been found of great help in viewing many aspects of Indian life in proper perspective. The book has been divided into nine chapters under the following heads: Hindu Social Organisation, Position of Castes, Marriage Laws and Customs, Position of Women, Everyday Life of the People, Popular Beliefs, Superstitions and Practices, Religious Beliefs and Sects. Religious Rites, Fasts and Festivals, and Law and Punishment. The first two chapters deal with the social organisation of the Hindus and the status of the various castes in the social hierarchy. The chapters also deal with the Asrama system, the sixteen castes of Al-Biruni, the occupational divisions of castes, the privileges of the higher castes and the correspon- ding degradation of the Antyajas, In the third and fourth chapters we have dealt with the institution of marriage and the general position of women. In these chapters we have discussed Hindu marriage-laws, the forms of marriage, the age of marriage, child- marriage and widow remarriage, polygamy, etc. They also deal with the position of women in different situations, namely. their position as girl, mother, widow, their legal and property right, the Purdah system, etc. The fifth chapter is concerned with the everyday life of the people in the early medieval period. It includes food and drink, dress and ornaments, amusements, toilet, and personal hygiene. The sixth chapter is devoted to popular beliefs, superstitions, manners, customs and practices of the Hindus in general and their attitude towards the Muslims in particular. The chapter includes the Antyesti Samkara and the practice of committing suicide for religious purposes. In the seventh and eighth chapters we have discussed Hindu religious beliefs and practices. Religious sects, image-worship, festivals, pilgrimages and fasts have been dealt with in detail. The last chapter is concerned with Jaw and punishment. As the sions. Early Muslim writers were, however, neither trained observers nor were the conversant with the language of the- country; consequently, they sometimes misunderstood the significance of what they had seen. Al-Biruni, however, is a class by himself. 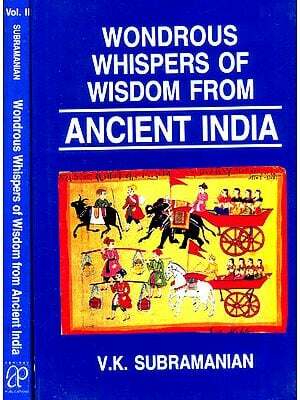 His brilliant and scholarly study of India in the eleventh century is a mine of information. No study of the period can be complete without reference to Al-Biruni. His accounts throw light on almost every aspect of Indian life, namely, social organisation, the caste system, marriage, the position of women, manners and customs, everyday life of the people, religious beliefs and practices, law and punish- ment. The value of, Al-Biruni's 'Indica' lies in its vast range and the authenticity of the information it supplies. As a keen observer he gives a reliable account of India as he had seen it. But he would have fallen into serious errors had he not had the opportunity of making a study of Indian thought and institutions as found in Samskrit literature. His book combines the advantage of study with that of personal observa- tions.